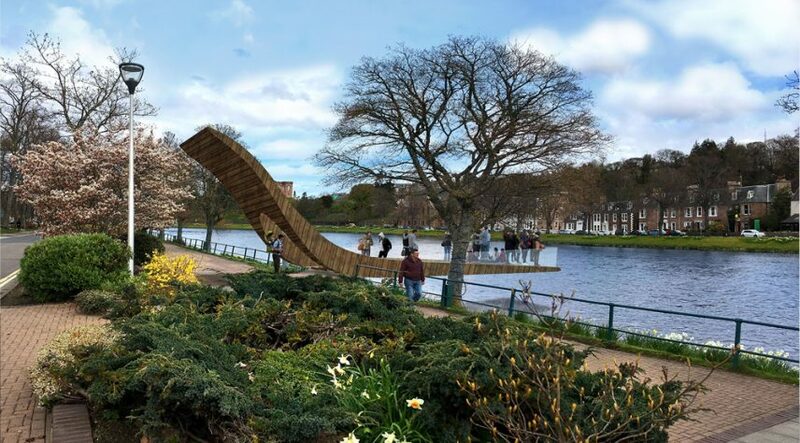 The Ness Pier is a tilting structure that extends the promenade onto the River Ness. Bridging the emotional qualities of the river and the public realm, the Ness Pier will offer the public an intimate experience with the landscape. 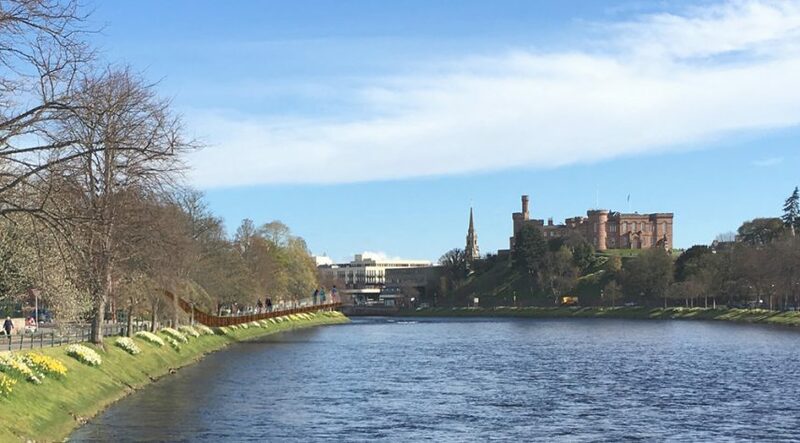 The River Ness is a cherished place in the city; it is actively used as a promenade, by wading salmon fishermen, and for floating down during the yearly Great River Ness Raft Race. 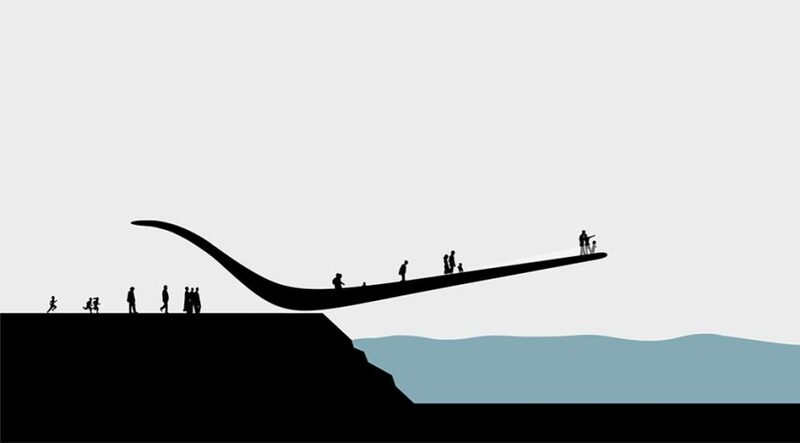 The Ness Pier will be a space for celebrations and gathering but also for the solitary observation and taking in the ebb and flow of the river. 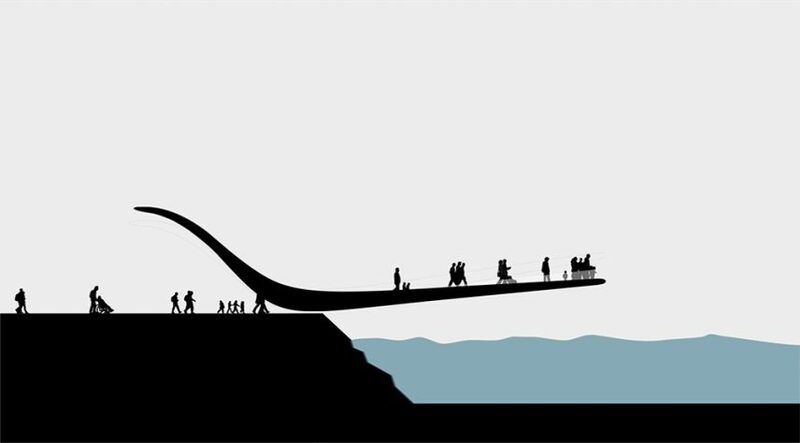 The tilting mechanism creates an unusual interactive experience. 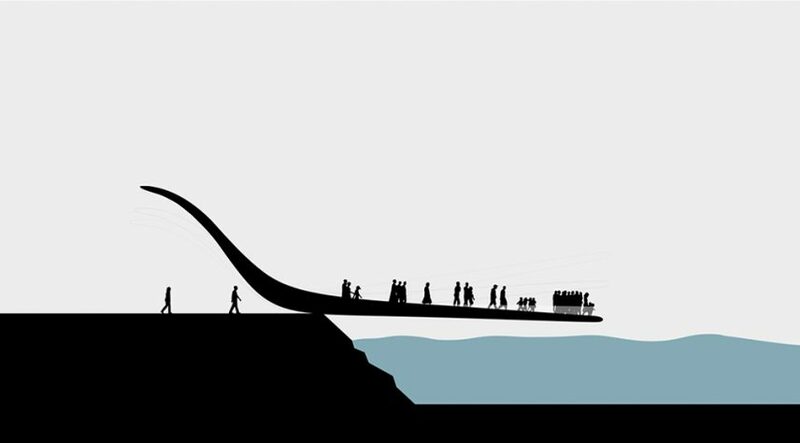 As crowds gather, the pier slowly tilts out over the river, stopping just above the water level.The gentle tilt encourages a duality of social space: the abstraction of movement within the landscape generates a vibrancy and sense of inclusion.